Oshun, we should all be celebrating today because it's such a special day - your birthday. Below is a birthday card for you. Definitely Not Safe for Work, but an interesting piece of furniture for your apartment - LOL. Celebrate unwisely and happily, enjoy your day, and feel my good wishes coming to you from Minnesota. 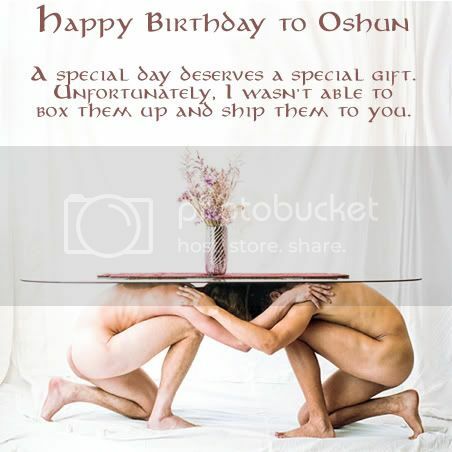 Ooooo, nice card, lucky Oshun! I thought it would be nice for her :-) I'm always amazed by what I can find in photos when I really start looking for special friends.